​Many thanks to all staff, pupils, parents and various groups who made our special day an astounding success. See the school transform from old to new in the photos below! 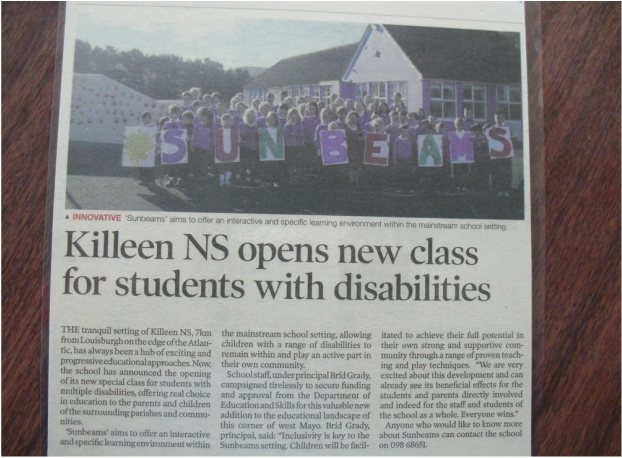 Last year we opened our 'Sunbeams' Class - a special class for children with multiple disabilities. This class offers an interactive and specific learning environment within a mainstream, co-educational national school for children who would otherwise have to travel long distances to attend a Special School. We are very excited about this progressive move for our school and our community. The Department of Education have allocated us a grant to build an extension to facilitate this special class. 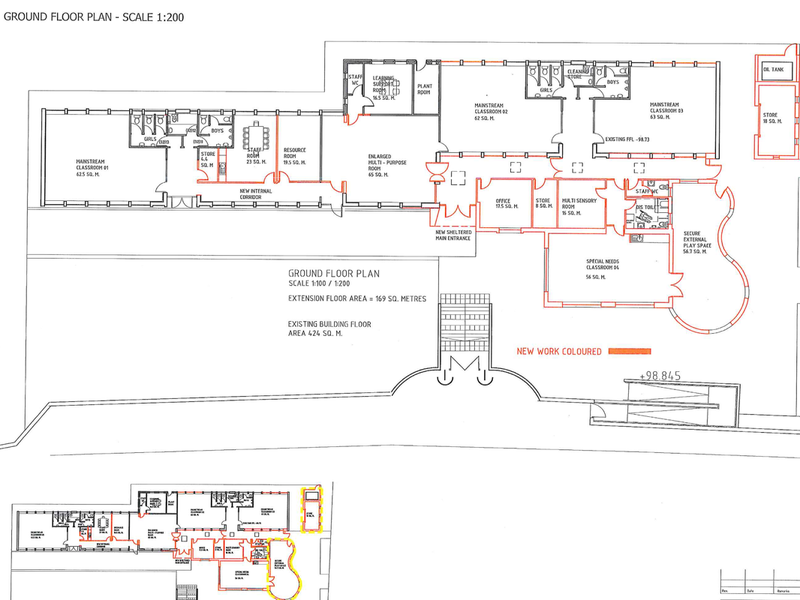 After consultation with the staff and board of management and further to recommendations listed on the most recent WSE report, there are a number of essential adjustments that need to be made to the interior of the school to address whole school needs along with the provision of an office, toilets and storage space. None of these extra costs are covered by the money granted by the Department. Therefore there is a significant shortfall between the grant received from the Department of Education and the cost of the building work that is necessary to upgrade the facilities at the school. Approximately €120,000 is needed to make up this shortfall. This is a considerable amount of money but it is essential to go ahead with these building works in the best interests of our pupils and of the wider school community. We are in the process of a mammoth fundraising drive to reach the required funds. The generosity of the fundraising committee, the local and wider community, local businesses, past pupils etc. have been outstanding. Please contact the school on 09868651 or email killeenns2@gmail.com if you would like to donate or click on www.gofundme.com/killeenschool . We would like to thank everyone who has donated their time and money so generously. Our extension is now close to completion and our school looks amazing. Míle buíochas. 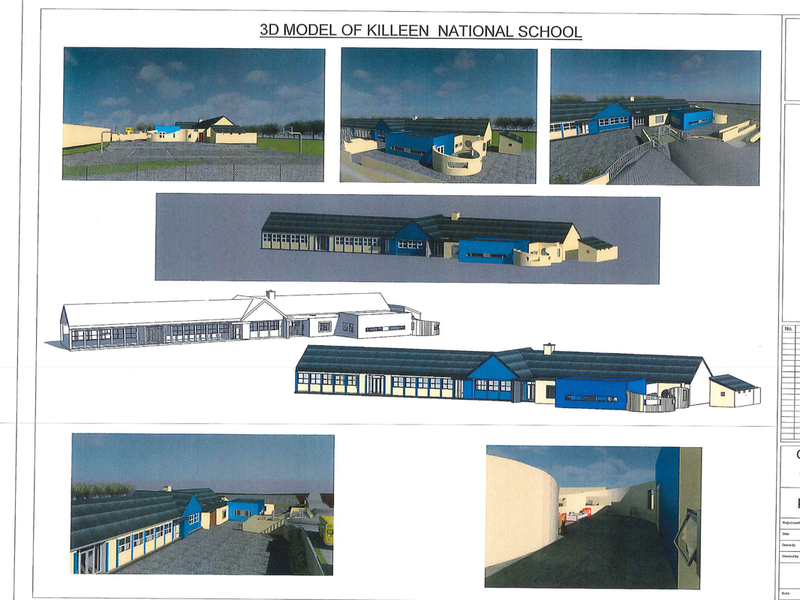 If you wish to donate please contact the school on 09868651 or email killeenns2@gmail.com. 2.1916Play "The Road to Independence"
€100 on the 'Wren Boys"
22. Vertex Roofing Systems Ltd.